We want say sorry to that cow. 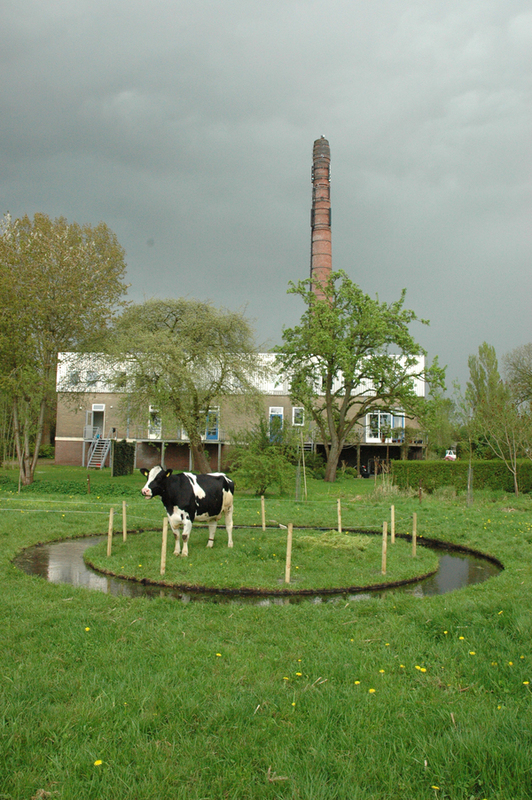 The piece was site specific and isolated one koe (cow) on one parcel of land contained by a single electric fence and surrounded by a hand-dug circular ditch filled with water. via Art Served.